Who can visit the fair? – Next Season Contracting is a fair dedicated exclusively to en gross sales, not en detail. 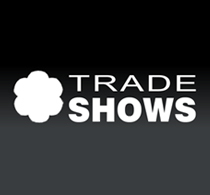 – We are expecting merchants interested in developing business relationships with exhibitors. – No. Visitor access is free and entry is based registration forms. – You can register both on the website (visitors section), or directly at the location of the fair. Where is the next edition of Next Season held and how to get there? – Next Season fair is organized at the ROMEXPO EXHIBITION CENTER, PAVILION C1, Bucharest. What is the fair program for visitors? How can I get fair’s catalog? – On arrival at the fair, please ask at the registration desk for the catalog. Do not miss the next edition of the Next Season fair!